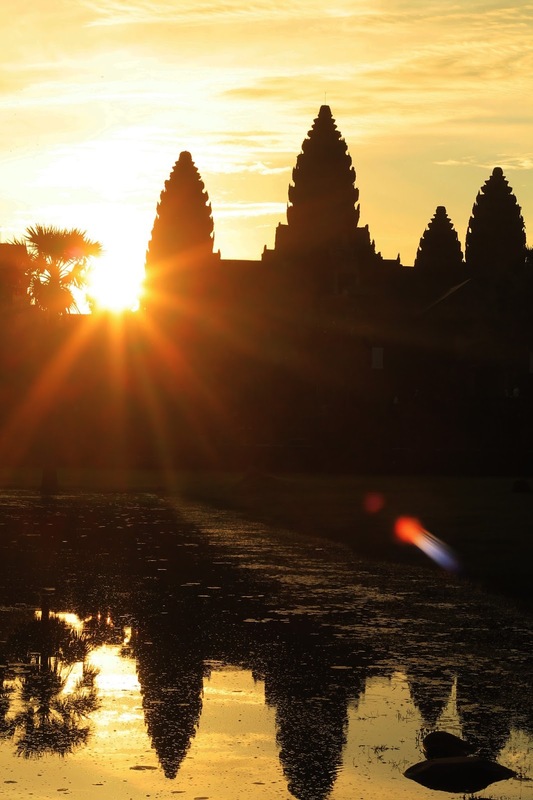 We did not afford to miss the Angkor Wat sunrise, even if we only had 3 hrs of sleep. I was browsing my external hd when I came across with the 2014 Adventures folder. Out of curiosity (and boredom), I clicked the folder and saw the Vietnam-Cambodia 2014 subfolder. 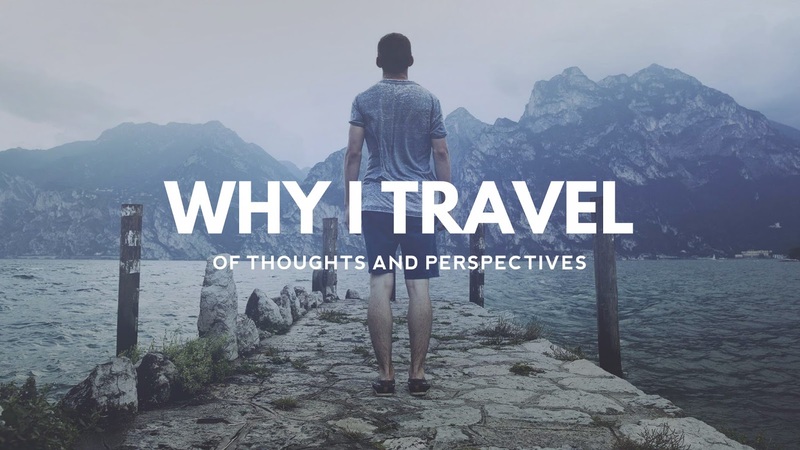 I got surprised because I took hundreds of photos in Siem Reap, Cambodia alone (a total of 234 photos to be exact) yet I only managed to publish one blog post last year. Nonetheless, it did not suffice. Siem Reap is truly a perfect place for landscape photographers and hobbyists alike. 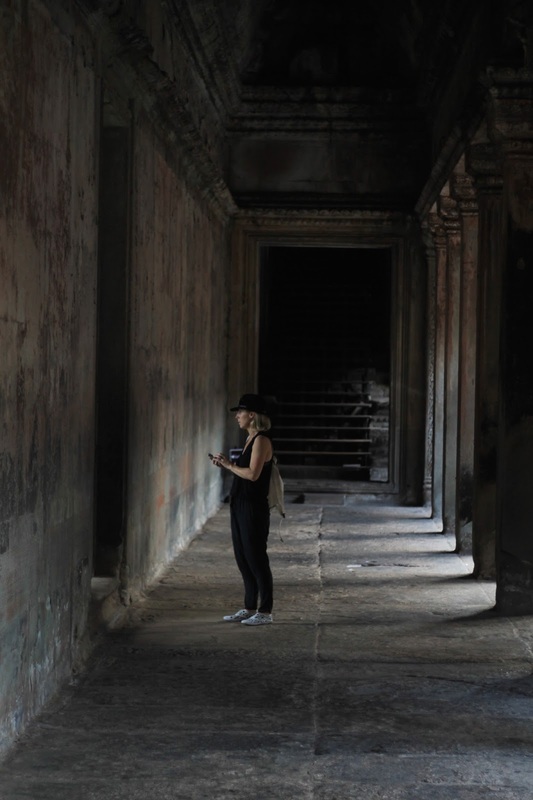 So here it is, a photo essay of my Siem Reap adventure last year. Let the photos speak for itself although there may be a few captions or backstories as we progress, so please bear with me. Haha! Note: all photos were taken using a Canon EOS 1100D camera, 50mm f/1.8 prime lens and were post-processed in Adobe Photoshop CS6. The sea of multitude of madlang people, trying to capture the famous Angkor Wat sunrise. HALA SIGE PUSH NATIN YAN. YUNG ISA PANG BLOG. YUNG ISA PANG INSTAGRAM. LET'S GET DOWN TO BUSINESS, TO DEFEAT THE HUNS! Lol ano raw? The columns, inspired by Greeks? Nah, social media didn't exist in the 11th century A.D.
"Asa naman mo uy? Kadugay ba ninyo muabot!" Lovin' the DOF of my prime lens. Nice no? Restricted area aka booby trap! Nakiavail sa mga nagtotour, and learned something about the history of the ancient Khmer Kingdom. The weather was perfect when we went there. BUTI NALANG. Monks were analyzing their fates base from the pebble formations on the ground. Atik lang. Char, ume EDSA sa Angkor Wat! "Oo chuy ako, at wala kayong pakealam!" Suko kaayo si ante oh! Inside the ruins of Angkor Thom. This used to be a courtyard. Ta Phrom or the Tomb Raider temple. How did these ancient people do this intricate art? Legends of the hidden temple!!! 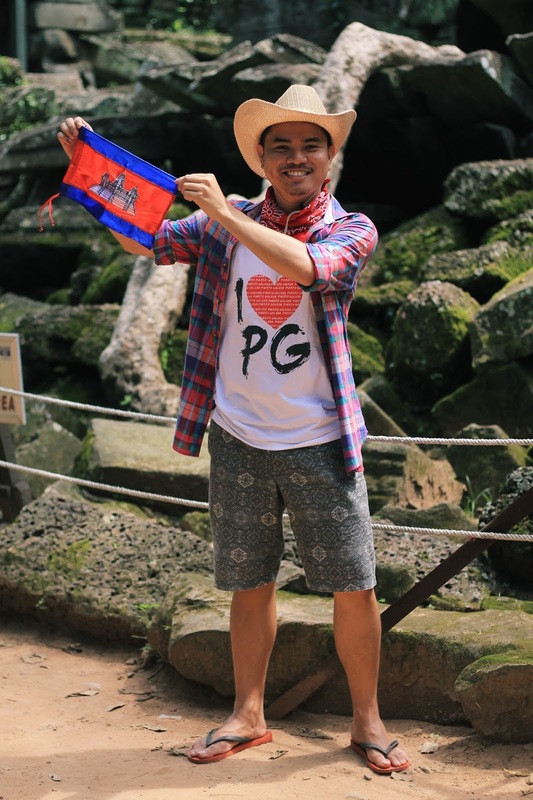 Toney, my travel buddy, proudly showing the Cambodia flaglet. Do not enter; hadlok kaayo diri. Weather in Cambodia is generally hot and dry, except if you go near a body of water, it gets humid. Day tour costs USD20. Cambodian goods are very cheap and your dollars will go a long way, unlike in Singapore (my wallet and credit card got abused by me, unfortunately). We stayed at Okay 1 Villa hotel and the rate was only Php 800 a night. We got a big room, and we really had a great experience in Siem Reap. There are daily flights to and from Siem Reap from Manila, courtesy of Cebu Pacific Air. I guess I should do these more often. Thinking of a photo diary of my Saigon trip last year. Nice kaayo pagkakuha kana babae naka itom og kalo. pang Nat Geo ang peg. Hahaha it's one of my fave photos too! NatGeo talaga? Whoa big word!!! Salamat!